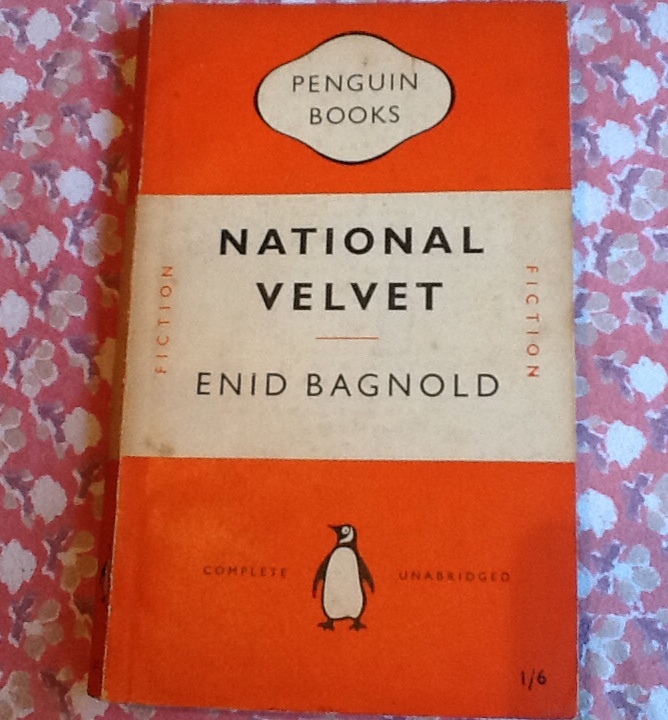 I’ve got a very ancient, yellowing Penguin edition of National Velvet from the early 1950s; not the actual copy I read as a child, just something I’ve picked up along the way and put on the shelf for the day when I would want it. 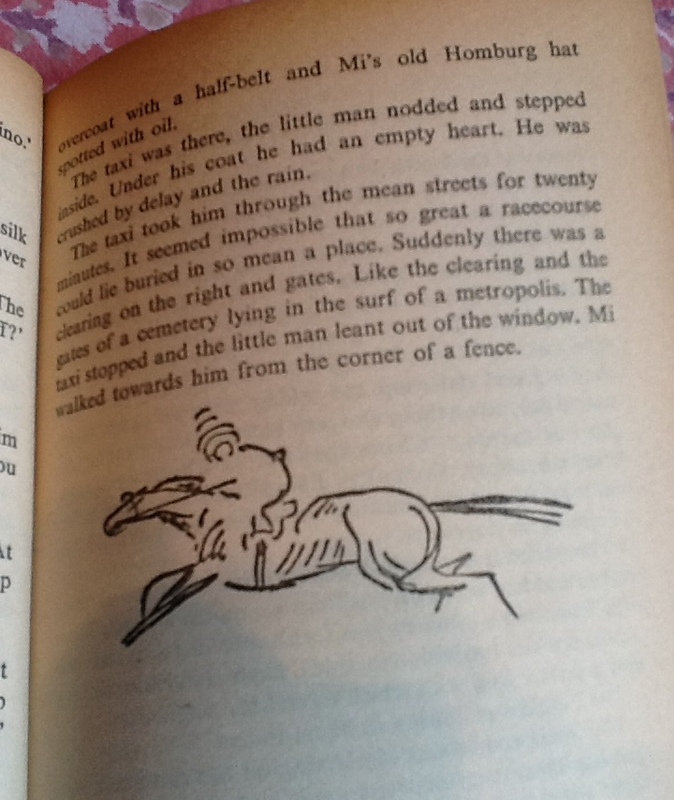 But glancing inside when I was writing my recent post on My Top Horses in Children’s Books, the simple and evocative drawings by Laurian Jones took me right back. 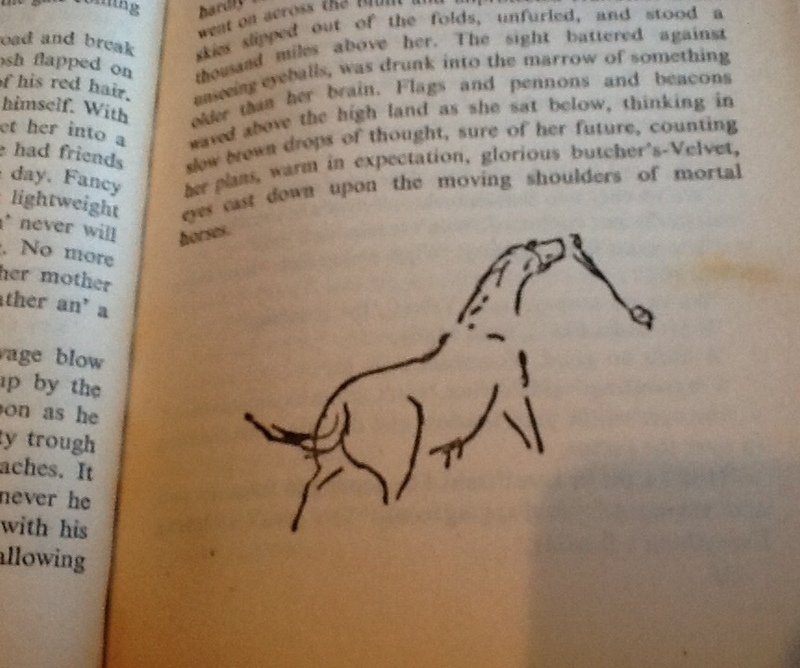 Of course these were the illustrations that go with the book. Once you’ve seen these, nothing else will do. There aren’t many of these drawings. They appear almost at random through the text, sometimes few and far between, sometimes in a cluster. 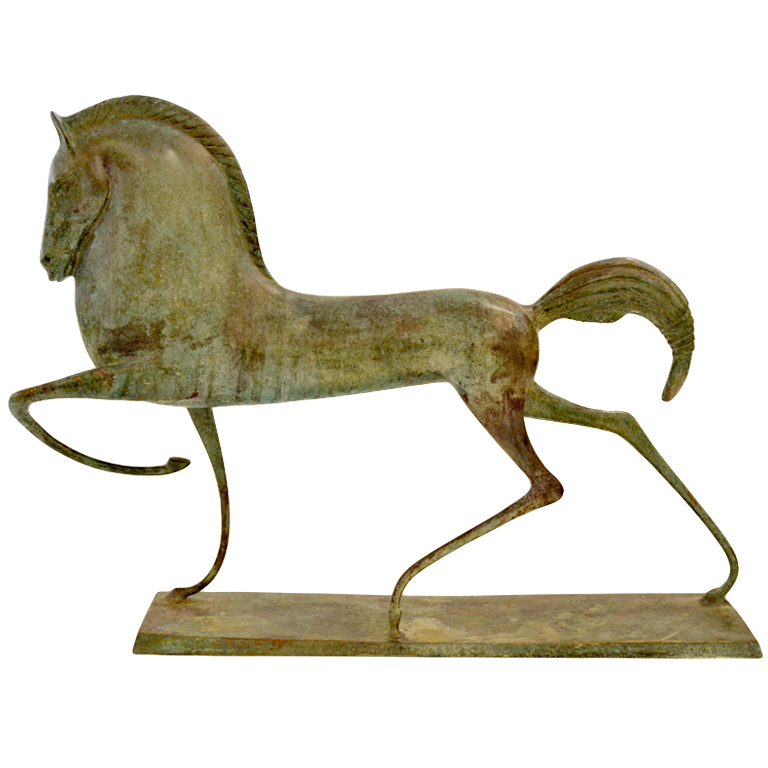 Some seem very rudimentary but all have an amazing energy – capturing the basic shape and sense and speed of horses in motion. 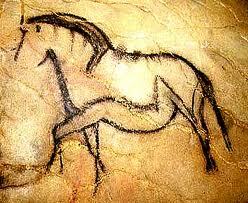 They remind me of cave paintings, or images in Etruscan art. 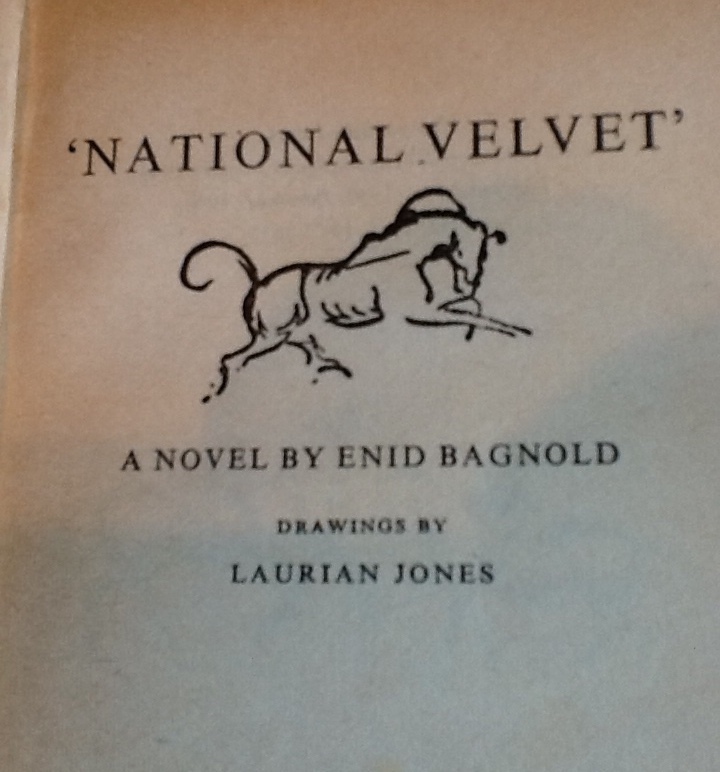 It turns out that Laurian Jones was Enid Bagnold’s daughter. Mother and daughter, in their different ways, have given us unforgettable horses. What a fascinating post! Thank you!